There’s something comforting and familiar about Hayao Miyazaki films. 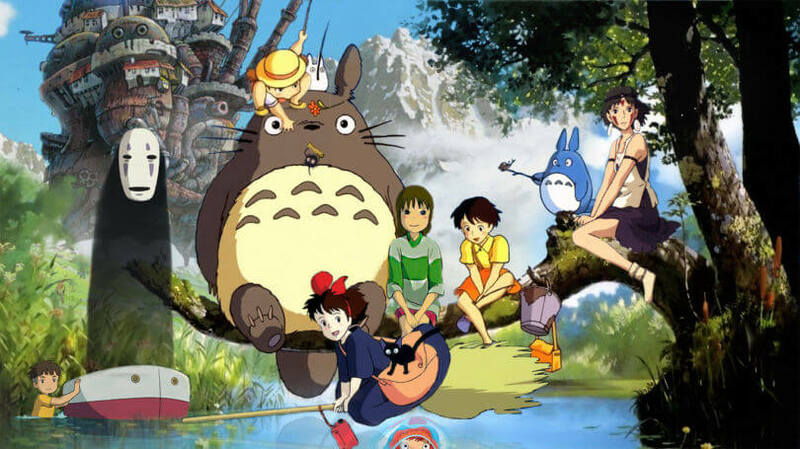 From fantastical slice-of-life classics like My Neighbor Totoro to the mythic action of Princess Mononoke, his animated works create worlds so immersive that his production house, Studio Ghibli, is currently working on making a theme park for its worldwide fanbase. One of the most powerful and recognizable aspects of his films are their phenomenal soundtracks, many of which were composed by one man: Joe Hisaishi. A veteran of Japan’s anime industry, Hisaishi’s work runs through many of the most well-known series of the ’80s, such as Mobile Suit Gundam and Voltron. The sound he developed for Studio Ghibli manages to evoke a sense of sweeping nostalgia from surprisingly minimal melodic arrangements. This particular characteristic also manifests in much of Hisaishi’s work outside of his more famous Studio Ghibli scores. That’s certainly true of his long and fruitful collaboration with Japanese auteur actor and director Takeshi Kitano, who appeared in the recent live action revamp of the anime classic Ghost In The Shell. These scores branch out from the fantasy of Studio Ghibli to provide a lush backdrop for stories about brutal police officers, violent Yakuza gangsters and the people who get caught between them. We’ve gathered a number of these non-Ghibli pieces to showcase an entirely different—but equally important—side of Joe Hisaishi’s catalog. Hisaishi gave this story about a down-on-his-luck police officer who robs a bank to show his dying wife a good time a unique accompaniment that ranks among his best. What makes this particularly special is its mixture of ’90s-era downtempo rhythms with Hisaishi’s signature minimalist arpeggiations. The soundtrack to an avant-garde movie about a bunch of Yakuza gangsters hiding on a beach in Okinawa is as trippy as the film it accompanies. With whirring reversed drum loops, plucky digital shamisen playing and technicolor vocal swells, it’s music for hot climates that at times sounds more like psychedelic Cafe Del Mar-style ’80s balearic beat than it does Hisaishi’s more reknowned anime material. But that’s exactly why we like this soundtrack so much. This melancholy gangster film about an old Yakuza who’s forced into exile in Los Angeles is met by a smooth, bluesy and piano-heavy soundtrack. Written in 2000, it’s more traditionally cinematic than Hisaishi’s earlier work. The track featured above laces the film’s jazzy main theme with chunky hip-hop beats. While most people like this film for its clash of slick Yohji Yamamoto-tailored clothes and extreme ultra violence, we’re 100 percent all about the music. Though this is a lesser known film among Takeshi Kitano’s oevre, it still packs some serious soundtrack heat. Joe Hisaishi’s soundtrack here has all the usual hallmarks, but with a more percussion-forward approach that culminates in the cosmic techno-hued titular cut. It’s fusion of live instrumentation with electronics brings to mind the jazzier side of mid-’90s Underground Resistance. With reverb-saturated finger snaps, classical violins and righteously funk synth bass playing, this soundtrack goes heavy on the atmosphere. It brings an oceanic grandeur to a story about a deaf garbage collector who wants to learn how to surf. The film was originally released in 1991, and it’s actually the first collaboration between Kitano and Hasaishi. This film, released in 2002, marked the end of the collaboration between Joe Hisaishi and Takeshi Kitano. Though its love stories and sakura blossoms are a relative departure for the director, the soundtrack is classic cinematic Hisaishi. Kikujiro contains one of the most well-known Joe Hisaishi songs: “Summer”. The sentimental piano-led composition is a microcosm of the composer’s style at large: nostalgic, arpeggiated and beautiful.